Outskirts Press is now accepting submissions from its Facebook fans of short literary works to be included in Fandemonium Volume 6, now through April 30. Fandemonium has become an anticipated annual tradition for the self-publishing community. This unique crowdsourcing effort is not only a collection of superior writing from the Outskirts Press Facebook community, but the profits also provide much-needed funding to a worthy cause. So, once again, Outskirts Press is calling on the online community for contributions of short literary works for the annual Fandemonium anthology, slated to be released this summer. The annual Fandemonium compilation includes a variety of short stories, poetry and other short-form literary works submitted by fans of the Outskirts Press Facebook page. Over the past five years, Fandemonium has brought Outskirts Press Facebook members together to experience the joy of publishing first-hand, while benefiting a great cause. Proceeds from the sale of the 2016 Fandemonium collection will be donated to the American Red Cross on behalf of Outskirts Press and its Facebook fans. Submit your entry as a Word document attachment to Fandemonium@outskirtspress.com before April 30th. Be sure the document includes your name and title. Outskirts Press will post your entry to our Facebook page as a note. Encourage your Facebook friends to “like” your entry by visiting the Outskirts Press Facebook page. Submissions with the highest number of likes will be considered for inclusion in Fandemonium Volume 6. Are you ready to publish your own book? Get started today! 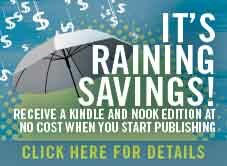 RECEIVE $498 OF EBOOK EXPOSURE FOR FREE! Want more exposure for your book? This spring, it’s raining savings and we’ve got a deal for you! This month, you can make your book available on the 2 most popular eBook reading devices, the Amazon Kindle and Barnes & Noble NOOK for FREE. 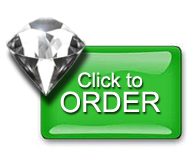 These 2 valuable and popular options will be included for authors who start publishing with our industry-leading Diamond publishing service or our full-color Pearl publishing service. This means that upon publication, you will have a total of three editions of your book available and listed for sale — all for the price of one. That’s valuable exposure for your book and a great deal for you! 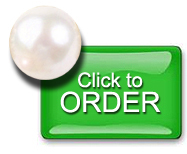 To receive this offer, add the popular Diamond package or the full-color Pearl package and enter the promotion code KindleNook16 during check out. It’s that easy! Teresa Guill is a teacher and mother who is dedicated to compassionate education about bullying. Teresa and her illustrator Lucy are both graduates of Bluefield State College in West Virginia. After receiving her bachelor’s degree in elementary education, Teresa chose Concord University to pursue her master’s degree in educational leadership and supervision. 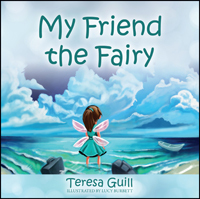 My Friend the Fairy is a realistic look at childhood bullying, designed to start meaningful conversations about the real-life impact of bullying, and what kids can do about it. Jake and Belle become best friends when they are young and innocent — too loving and carefree to focus on their differences. They are inseparable, and their friendship is a joy for both of them. But Jake and Belle discover that as they grow older, more factors intrude into the close relationship that means so much to them. Other people have an agenda…and that interference can be deeply destructive. Unaware of how to stop what is going on, Jake and Belle find their beautiful friendship shattered in a way that could and should have been avoided.